Adidas Originals ES PLY Stripe Football Jersey T Shirt In Active Blue, Shaped crew neck line with a white ribbed trim and short sleeved design. An overall woven knit vertical striped desing in active blue and white with the signature Adidas Trefoil logo printed on the centre of the chest in black with a printed Adidas brand name on the front of the neck in black also. Regular fit design inspired by authentic football kits from the 1990s and 2000s. 100% Recycled Polyester. 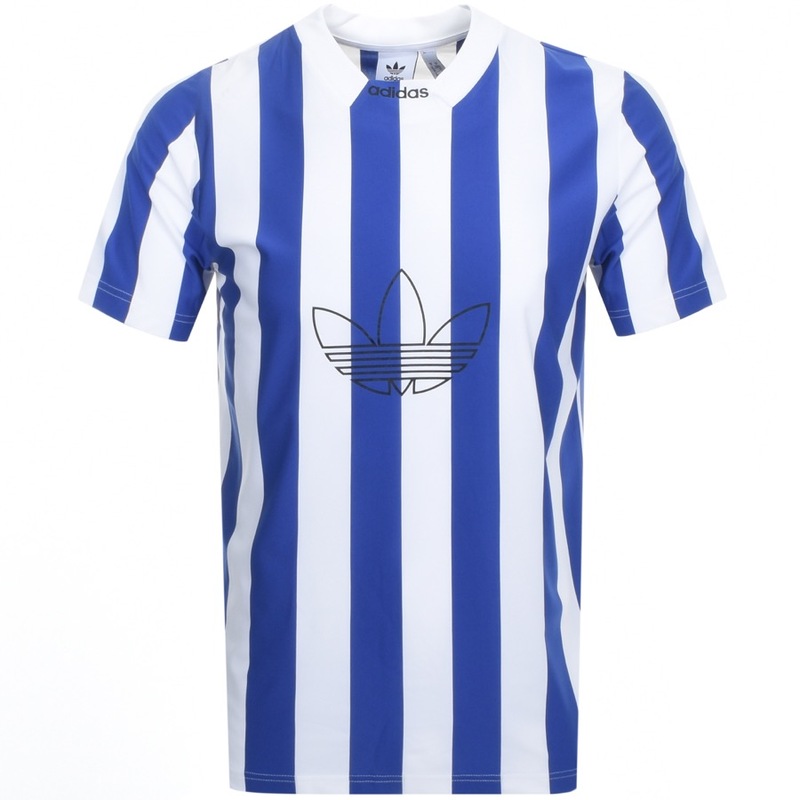 Part Of The Brand New Collection of Adidas T Shirts Live.